I’m not even sure if these locals were in costume or not! The Alabama Hills and the surrounding brushed granite boulder landscape near Lone Pine, California form the backdrop for hundreds of Hollywood’s commercials and films, including recent blockbusters such as Iron Man and Django Unchained as well as well-known Western serials such as the Lone Ranger and Hopalong Cassidy. 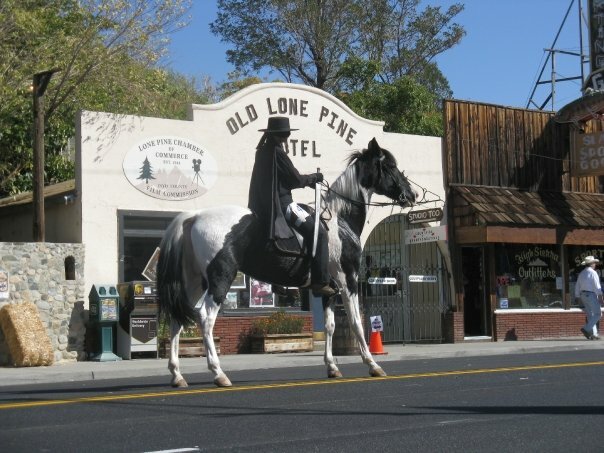 This October 11-13 the 24th annual Lone Pine Film Festival promises to elevate the stature of this natural treasure with a recently announced special guest star – the revered film historian Leonard Maltin, who will interview industry insiders and actors. Maltin’s credentials are impressive: author of five books and an annual movie reference and guidebook, board member of the National Film Preservation Foundation at the Library of Congress, 30-year host on Entertainment Tonight, adjunct professor at the University of Southern California’s School of Cinematic Arts and host of the weekly program Maltin on Movies for ReelzChannel. The film festival and the Alabama Hills are the setting for my story “The Girl’s A Bore,” inspired by the history of Westerns and the exclusion of women from leadership roles in the industry. 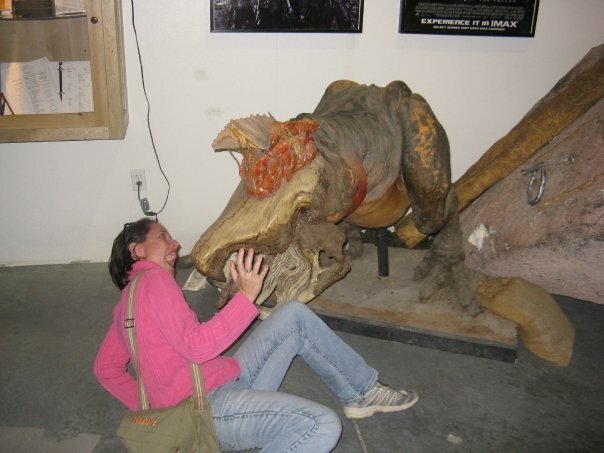 Get this graboid off of me! Creature from the Kevin Bacon sci-fi classic “Tremors,” shot near Owens Lake. You can visit this and many other fun exhibits at the Lone Pine Film History Museum on Main Street in Lone Pine. 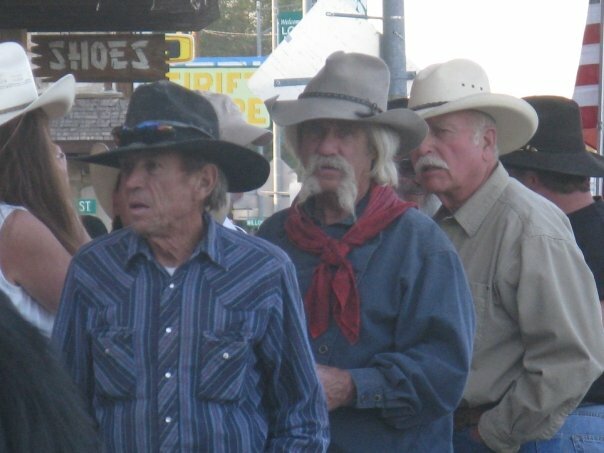 I conducted research for my story by watching dozens of Westerns shot in the Alabama Hills, among them How the West Was Won, Bad Day at Black Rock, Joe Kidd, Tell Them Willie Boy is Here, and attending the Film Festival in 2009. I found one film, which was not shot in the Alabama Hills, especially helpful – Butch Cassidy and the Sundance Kid. The accompanying documentary on the 2006 two-disc collector’s edition of the film made for rich opportunities to fictionalize the real-life story of tensions between Cassidy director George Roy Hill and actress Katharine Ross. Thanks to Hill for the title of my story. I hope he approves. Don’t miss out on one of the West’s most charming and all-American events that will educate (I’m especially looking forward to the 1900 Water Wars Tour of the Owens River) and delight. 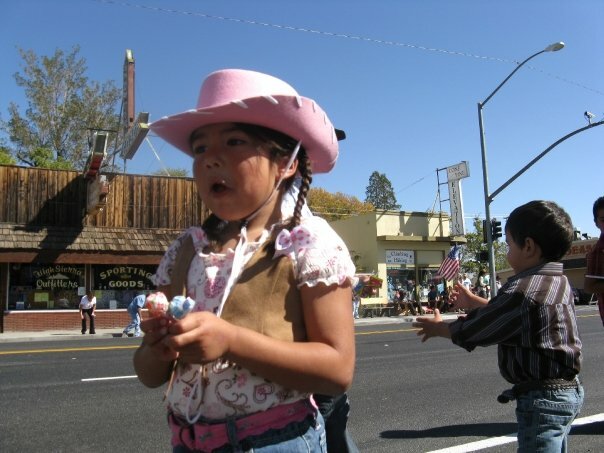 The Sunday parade down Main Street complete with hoop dancers, cowgirls and cowboys, antique cars, actors, horses and mules, will leave you believing that land, water, movies and history matter – and that they’re never a bore. The Lone Ranger in the Parade. 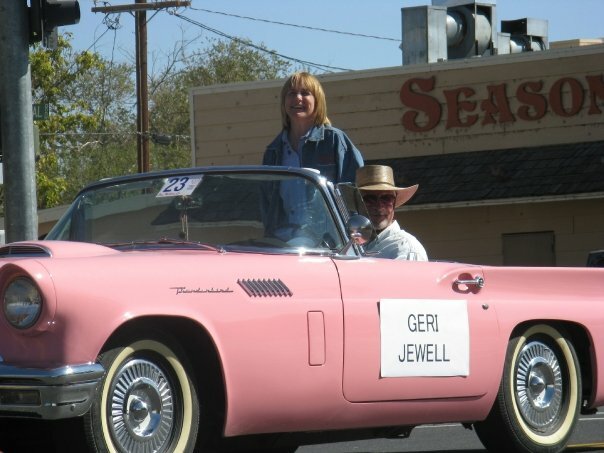 Gifted actress Geri Jewell was the first actress with a disability to be cast as a regular in a primetime series. Her work in “Deadwood” was brilliant. Nothing beats a parade and free candy! For a set of stunning photographs from the Los Angeles Times, click here! This entry was posted in Uncategorized. Tagged Alabama Hills, Bad Day at Black Rock, Butch Cassidy and the Sundance Kid, Django Unchained, entertainment, George Roy Hill, Hollywood, hopalong cassidy, How the West Was Won, Katharine Ross, Kevin Bacon, Lone Pine, lone pine film festival, movies, Tremors, Westerns.